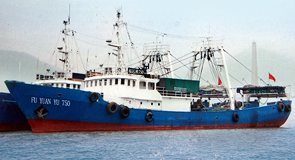 FUZHOU, China, Nov. 15, 2018 /PRNewswire/ -- Pingtan Marine Enterprise Ltd. (Nasdaq: PME), ("Pingtan" or the "Company") a global fishing company based in the People's Republic of China (PRC), today announced that the Company will hold its Annual Shareholder Meeting on November 20, 2018 at 10:00 a.m. China Standard Time. The meeting will be held at Pingtan Marine's headquarters located at 18 Floor, Zhongshan Building A, No.154. Hudong Road, Fuzhou, Fujian, 350001, People's Republic of China. transacting such other business as may properly come before the meeting or any adjournment or postponement thereof. Shareholders of record as of October 8, 2018 will be eligible to vote at the Annual Meeting.